LED Strip lighting has been commercially available for over 15 years, while Laser Wire® has been only on the market just over three years. Some of the key difference between these two lighting technologies is based around the method of light emission, it’s appearance in use, and practical application. 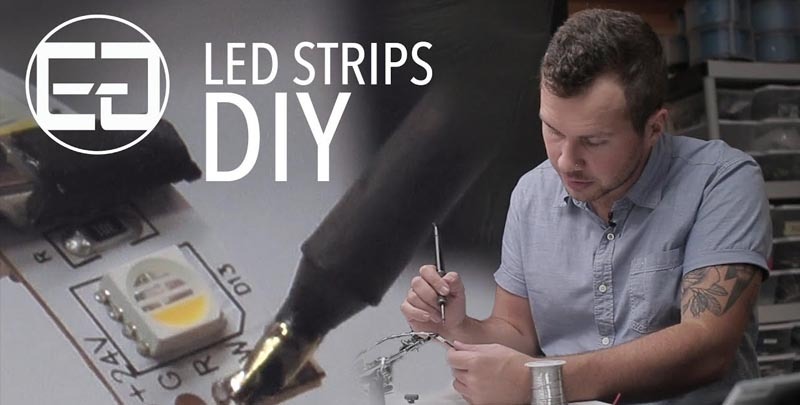 LED lighting strips emit light from each individual diode along the strip, creating a uniform amount of light along a surface. Because illumination occurs from many different points along a single strip with a 120 degree beam angle, this can create “hot-spotting” when used directly against a surface, or when directly viewed without proper diffusion. 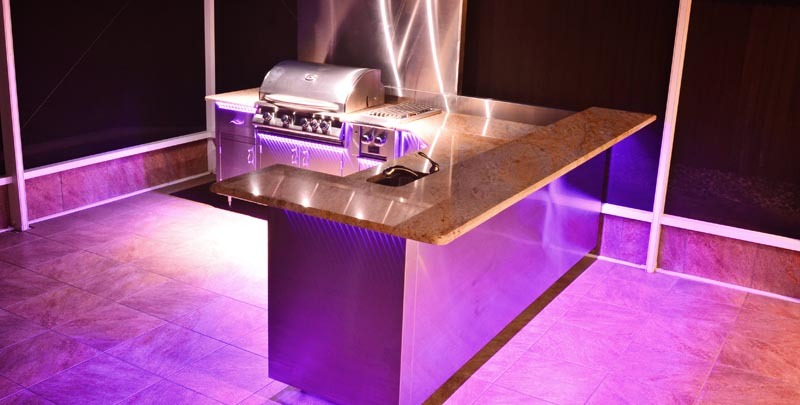 This type of lighting also works well for practical illumination of a space, allowing for LEDs to replace traditional fluorescent, CFL, or inefficient incandescent bulbs. 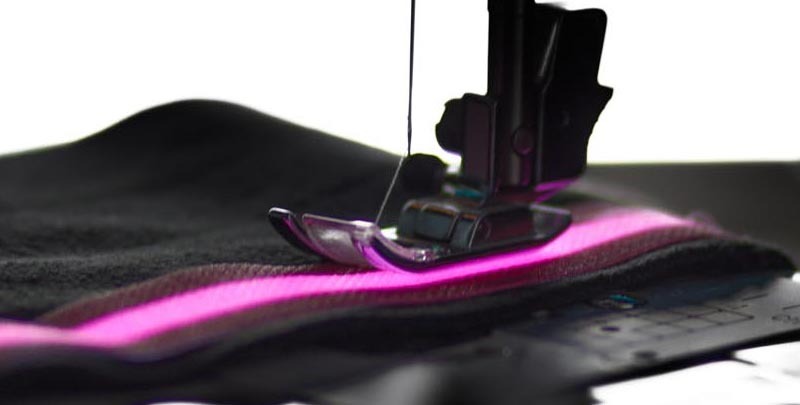 The conductive copper tape that provides power to all the LED diodes is flexible, but does not hold up well to repeated bending, making it a non-viable option for costuming and textiles that requires bending. When using in outdoor applications, silicone jacketing or weather proofing is required to keep from exposing the sensitive LED electronics to weather and moisture. Generally, this type of lighting technology is great for practical light, but does not work well as an accent light without proper diffusion material. Laser Wire® from Ellumiglow produces light along the entirety of the wire in a 360 degree beam pattern, can be bent repeatedly without damaging the glass core, is thin enough to fit in tight spaces where other types of lighting technologies cannot, and it also one of the most efficient ways to accent and illuminate products without additional diffusion material. 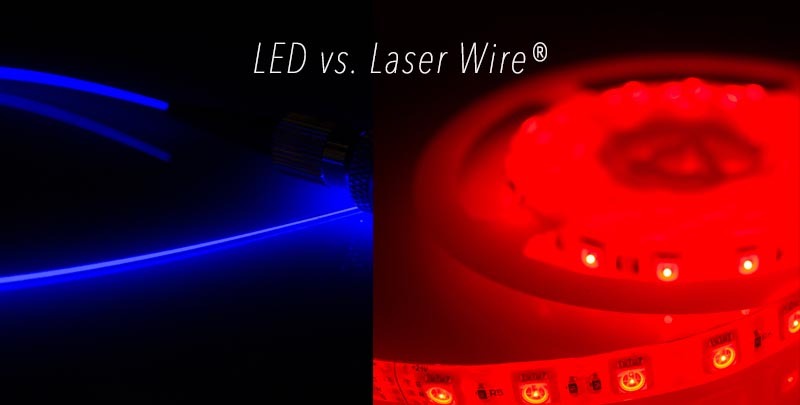 Because of it’s thin diameter of 0.9mm, Laser Wire® works great where LED strip lighting cannot. RGB color mixing is also possible with the use of an RGB-capable laser driver. A standard 20mW or 70mW (milliwatt) laser module will brightly illuminate a one, five, or ten meter length of Laser Wire® that’s portable enough to use in textiles, costumes, automotive interiors and exteriors, backpacks, table displays and more. Because it is considered an accent light, we do not recommend using this product as a replacement for practical lighting and room illumination. 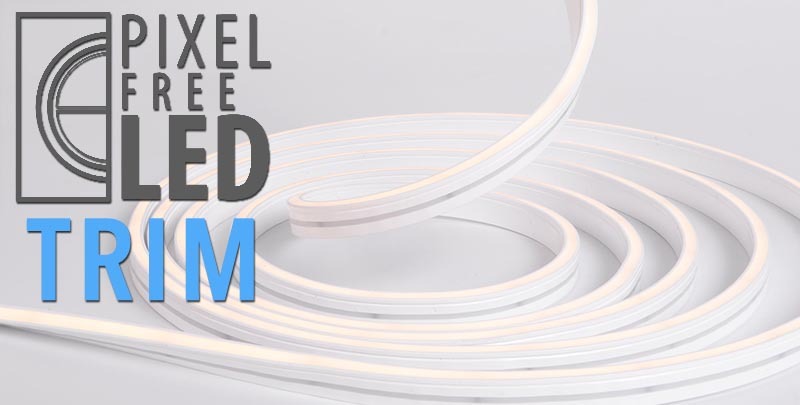 For more information on either our line of Auralux and Wavelux LED strip lights or Laser Wire®, please contact us today! Our team would love to help you make your project stand out from the rest.